The most powerful way children learn is through active play. Every child has the right to equal opportunities and equal access to activities and resources provided, regardless of gender, race, culture or individual ability. Children need the opportunity to develop and practice life skills to enable them to connect with and thrive in an ever-changing world. Every child should feel secure, valued and respected, fostering an appreciation and recognition for those around them and their environment. Children, parents/guardians and teachers have an equal partnership in education. Our staff are key to providing a quality program to children, their families and the local community. Patterson Lakes Kindergarten has been rated as Exceeding National Quality Standard. Information about the National Quality Standard. 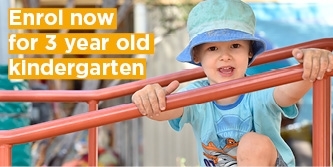 Welcome to Patterson Lakes Kindergarten Centre where our experienced and enthusiastic staff deliver a varied, innovative, play-based program that will provide your child with the time and space to play, learn and thrive! Patterson Lakes Kindergarten opened in 1981 and has continued to serve the children and families of Patterson Lakes ever since. The kindergarten was successful in gaining government and council grants to update and extend our building, work started in June 2013, and we began this year with a beautiful, modern and fresh new building. We offer both four year and three-year-old programs. 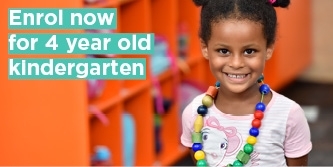 Our four-year-olds attend kinder for a total of 15 hours, and our three-year-olds attend kinder for a total of five hours a week spread over two days. opportunities for rest, with incidental snacktimes and corners for quiet activities like reading.